It’s easier to understand if Brian Kelly feels like the new kid on the first day of school right now. 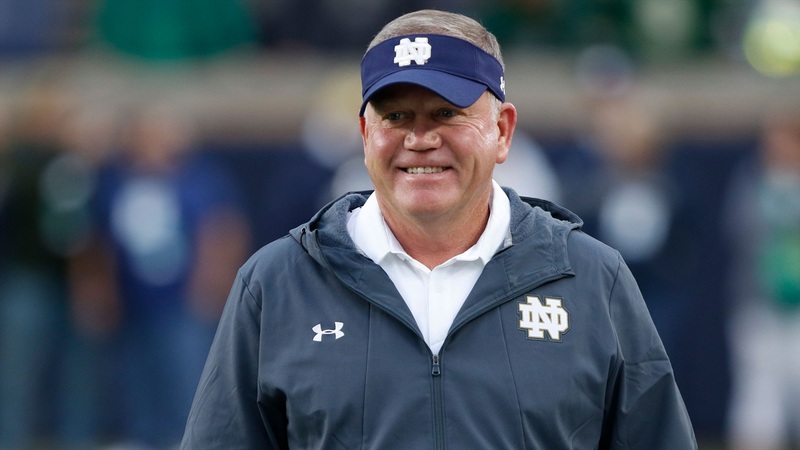 After 28 seasons of being a head coach, it’s got to be a bit odd to be in such a new situation, but after leading Notre Dame into the College Football Playoff for the first time, Kelly finds himself surrounded by three coaches who have all been here before, last season in fact. Alabama head coach Nick Saban has appeared in every College Football Playoff since the format was established in 2014. Oklahoma head coach Lincoln Riley reached the final four a year ago, his first season as a head coach. Meanwhile, Kelly’s counterpart in the semifinals, Clemson head coach Dabo Swinney has been in every Playoff except the inaugural. “We're certainly looking forward to an incredible matchup against a team in Clemson and a coach in Dabo Swinney who's been here four years, knows what it's like, and we'll have a great challenge,” said Kelly. “But we have a great respect for all of the coaches that are here. They've done it before. We certainly look at it each and every year as a goal for our football team. There was a time when Clemson was known for blowing its chances, the school’s name had even turned into a verb in some circles, but that’s no longer the case. “When you talk about playing an opponent, it's the ability to close games out, the ability to know how to win, and that's Clemson,” said Kelly. “They know how to win football games. They've been winning. Kelly also talked about how the new redshirt rule, which allows for players to appear in up to four games while maintaining a year of eligibility, has impacted the season. Kelly also mentioned how the rule change allowed the Irish to get freshman five-star quarterback Phil Jurkovec on the field this fall.